This series is based on sketch book drawings of eyes. I focused on playing with color combinations and patterns to create minimal, yet vibrating prints. 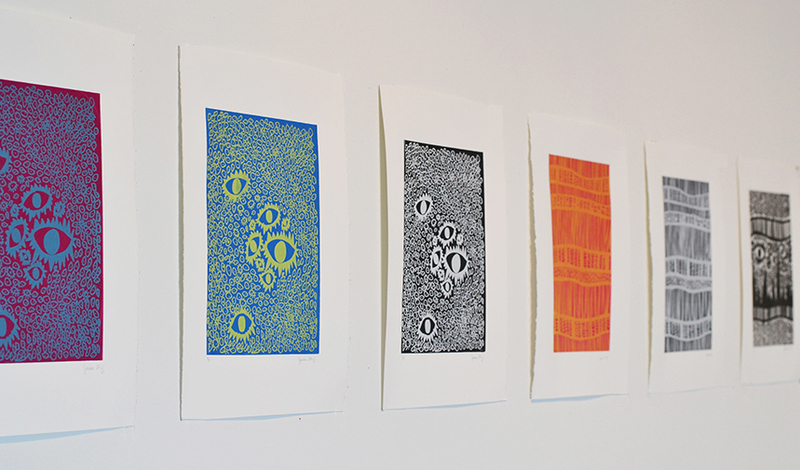 Two prints are currently exhibited at The Gallery at Ross Commons in University City, and were previously on view on Project Space 500 in Drexel University.